Fancy a taco? Or a burrito? Check out our Menu. We offer a flavourful range of Tacos, Burritos, Nachos and more. Our products are prepared to order…they don’t make it until you order it so you know it’s fresh. It’s craveable, the kind of food you can’t say no to. 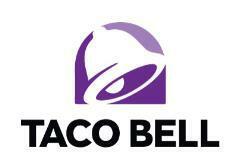 Taco Bell® offers affordable value with items starting at just 99p! So what are you waiting for?